Sutter Ave. to Livonia Ave.
Amboy St. to Barrett St.
Pike St. to Montgomery St.
East Broadway to South St. Note: Left-click on the thumbnail photo to see an enlarged image. Don't forget to further click on the gold, arrowed enlargement icon that appears when you pass your computer mouse arrow over the bottom right corner of the already enlarged image. 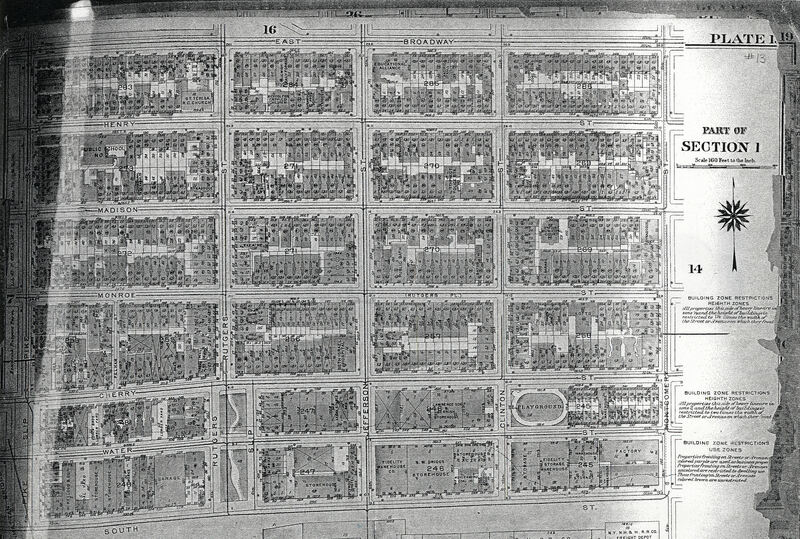 You can see the location of the office of the Yiddish Daily Forward (on East Broadway, between Rutgers and Jefferson Streets), the Educational Alliance (corner of East Broadway and Jefferson Street), and synagogues on Jefferson Street and Henry Street. Certainly an interesting look at the past! These maps, produced in 1913, are interesting and valuable for several reasons. Between 1939 and 1941, as part of a government-sponsored WPA project, a photograph was taken of every piece of property in New York City. These photographs were taken for property appraisal and tax assessment purposes. They were taken with high quality 35 mm. cameras and are available for purchase from the New York City Municipal Archives. For those who wish to see what a particular property looked like back then, whether it be an old family residence or just a place of interest, this is a wonderful resource. If we have a certain address of interest, we can find the building photo with just a little work. 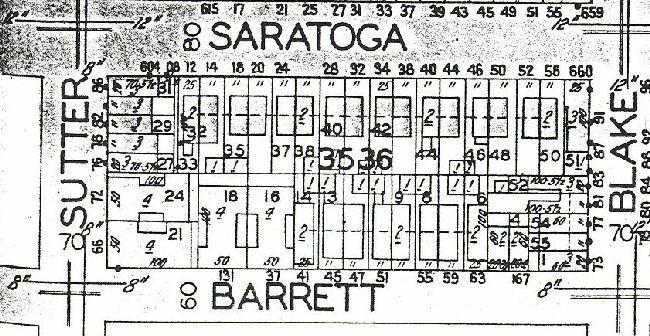 To find the proper microfilm at the Municipal Archives, one must first determine what the block and lot number was for the particular address of interest. Then it is necessary to consult a particular microfilm to determine the correct microfilm roll that contains the image of the property we want. Then we can look at this microfilmed image through the microfilm reader and decide whether we want to purchase it and add it to our collection. It is possible to print the image out at the Archives, but the quality is extremely poor. These photos are also interesting because each one gives us a fascinating look back in time. We can see where our families lived, worked and played; what the buildings and neighborhoods looked like in the latter years of the Great Depression and the period of time before and during World War II. We can see people milling about or sitting about in front of their tenement building. We can view the old cars and see how folks back then dressed. 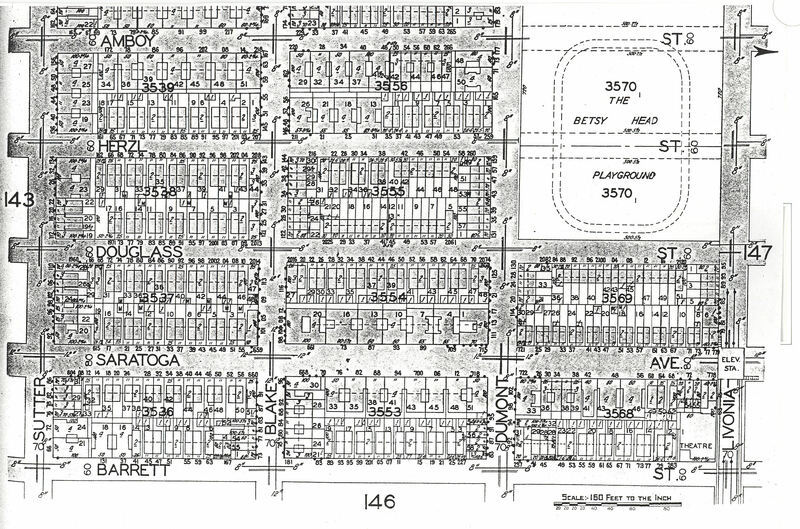 The maps also indicate the lot size of each property and occasionally the names of some businesses or public areas. If you do not know the numbers needed to find the right microfilm, you can have the Archives do it for a five dollar fee. The smallest size photo available is an 8 inch by 10 inch one (thirty-five dollars black and white, forty-five in color), though you can always pay more and get an 11 by 14 (fifty and sixty dollars respectively.) There is also a small shipping fee. You will receive the photo within three to five weeks. Of course, they will refund your money if they cannot find the photo. Note that the quality of the photos may vary, though I have found the quality generally to be good.